We are proud to serve the advertising needs of the Traverse City area. With our extensive inventory of Billboards and Digital Displays and the best team in the business, we will help you craft a campaign and successfully reach your target audience. 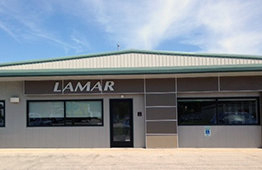 Lamar of Traverse City is the premier out-of-home advertising company in the Northern, Lower and Eastern Upper Peninsula of Michigan. We cover areas South to Big Rapids, West to Manistee, East to Houghton Lake and Alpena and all areas North to Sault Ste. Marie. Northern Michigan is a true four-season wonderland with billboard coverage in all markets and digital coverage in metro Traverse City. With so many opportunities to showcase your message, Traverse City provides a fantastic backdrop to introduce new products and services, initiate a call-to-action or highlight the success of a well established brand.